Louisa and Harry E. Hayward. Circa 1858. Louisa was the slave nurse for Harry, who was seated in her lap. 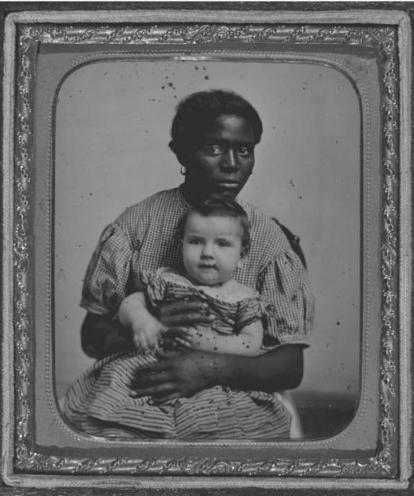 The image suggests the intimate and complicated relations that existed between slaveholding family members and their slaves. Courtesy of the Missouri History Museum Phoographs and Prints Collectiojns, St. Louis. 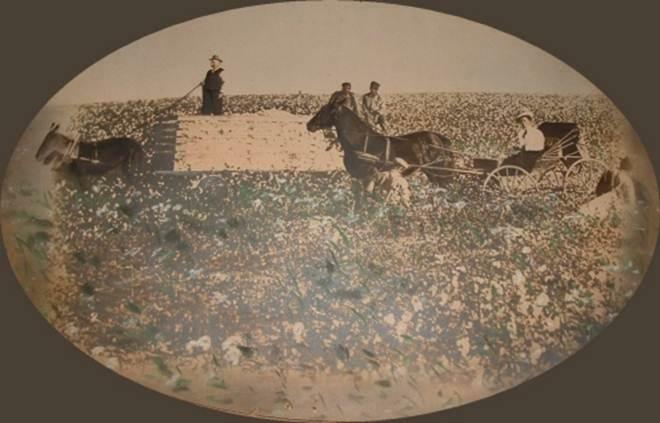 Listener Tom Pangborn sent us this photograph from an old family farm in the Hiawatha, Sabetha Kansas area, showing the farm owner, his wife, and what he assumes are three slaves. On Friday's Walt Bodine Show, co-host Monroe Dodd discusses the history of small-scale slavery in Missouri with Diane Mutti Burke. Burke is an Associate Professor of History at UMKC, where she teaches course on the Civil War, Southern History and the history of early American women. On the show today, we learn about her book On Slavery’s Border: Missouri’s Small-Slaveholding Households, 1815-1865. 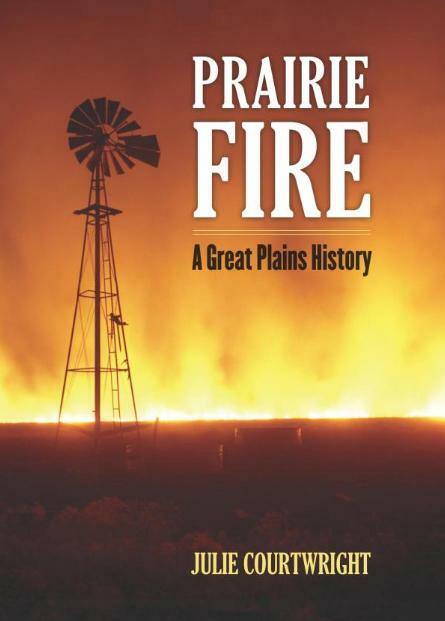 The National Archives at Kansas City will host Diane Mutti Burke on Wednesday, February 22 at 6:30 p.m. for a discussion of her book. Mutti Burke will be available to sign copies after the discussion. A 6:00 p.m. reception will precede the event. For more information or to make a reservation for this free event call 816.268.8010. Diana Mutti-Burke will be teaching a NEH Landmarks of American History and Culture Workshop for K-12 teachers this summer (June 24–29 or July 8–13). The deadline for local teachers to apply is March 1st. For more information contact Mary Ann Wynkoop by calling 816-235-1631 or e-mail NEHBorderWars@umkc.edu. More info here. On Friday's Walt Bodine Show, historian Monroe Dodd discusses the history of remarkable women in Kansas, with past KCUR contributor and author, Gina Kaufmann. 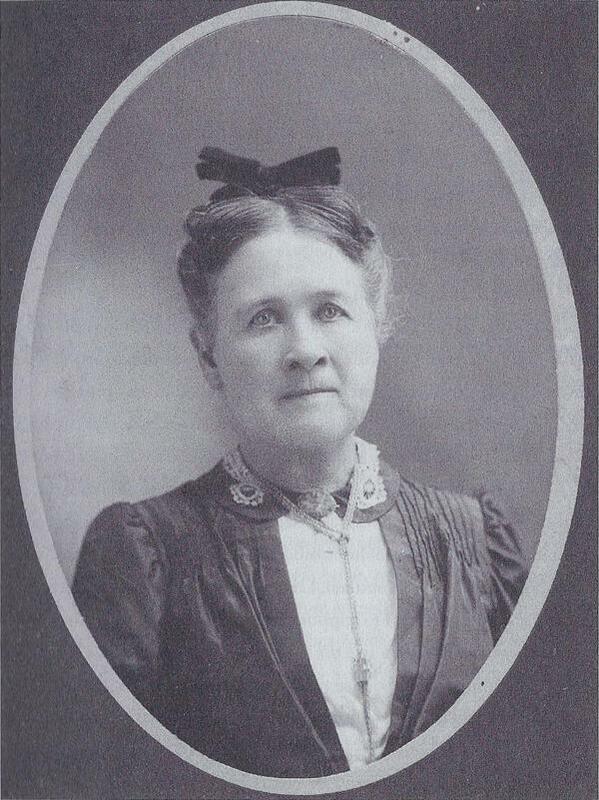 Her new book More than Petticoats: Remarkable Kansas Women tells the stories of women who shaped the Sunflower State, including a dentist, an orator, a pilot, a mayor and a fugitive slave. Coming up Friday on the Walt Bodine Show, we'll take a look at "Americans by Choice," an exhibit that tells the history of immigration and naturalization in the state of Kansas.